Wisconsin Historical Markers: Why Green Bay? 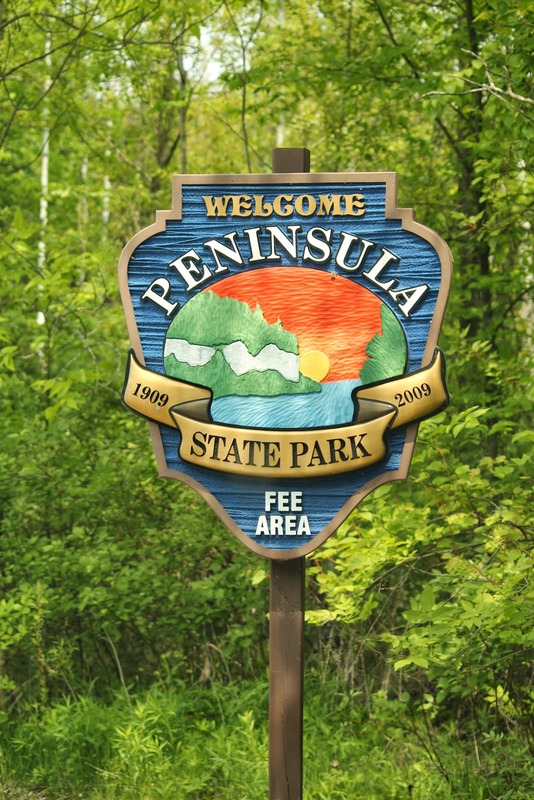 Marker is located inside Peninsula State Park on the "Green Bay side" of Shore Road, two miles north of Main Street / Wisconsin Highway 42, and ½ mile north of Skyline Road, Fish Creek, Wisconsin 54212. When spring burst forth, voyageurs paddled from Montreal, Canada to trade at outposts on the Great Lakes. After the long, white northern winter, they welcomed the green of spring found upon reaching Green Bay. Voyageurs identified places by natural features, and, thus [sic] called this spot "Green" Bay. Early accounts tell of abundant fish populations and clear waters. 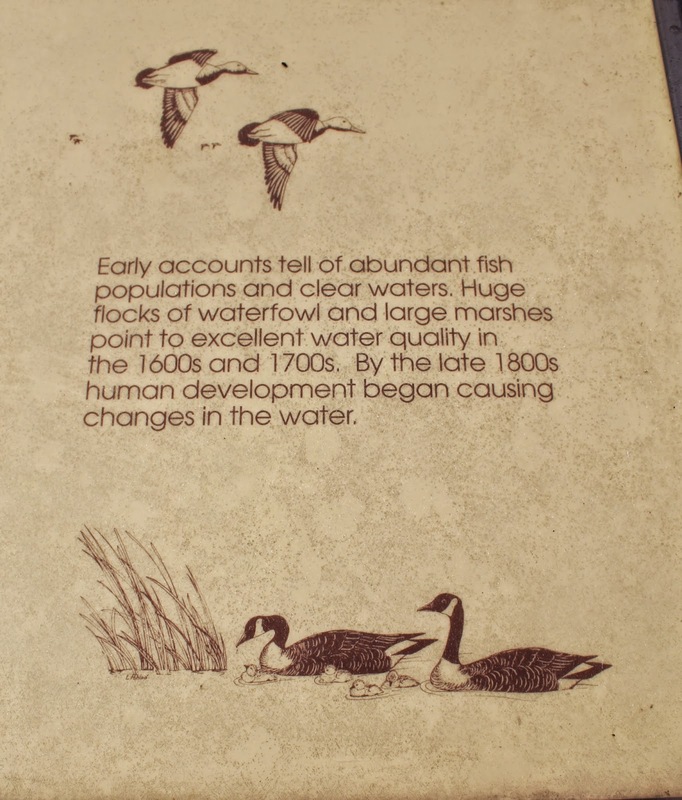 Huge flocks of waterfowl and large marshes point to excellent water quality in the 1600s and 1700s. By the late 1800s human development began causing changes in the water.